SAN FRANCISCO – Virgin America, the California-based airline known for its upscale service and low is celebrating its eighth anniversary and eighth straight year as the Top Domestic Airline in Travel + Leisure’s World’s Best Awards in typical Virgin America style with some of its biggest Bay Area supporters. 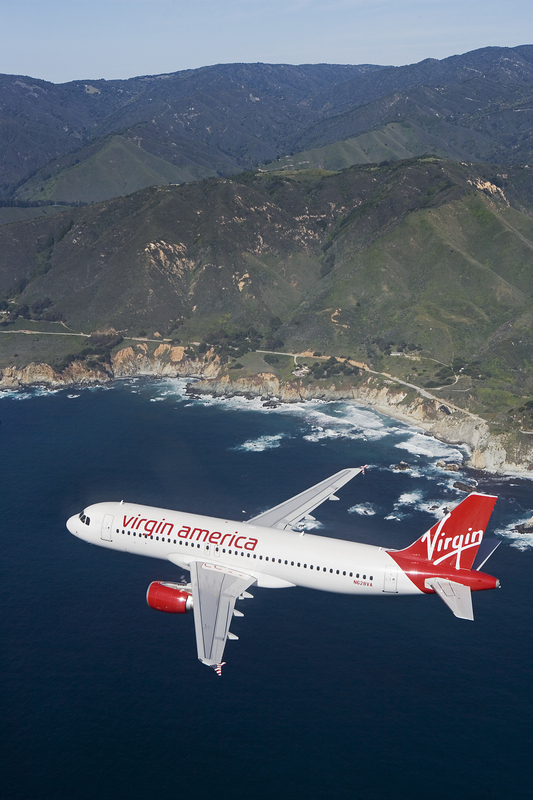 To mark the high-flying occasion, San Francisco Mayor Edwin M. Lee is honoring the hometown airline by naming August 8, 2015 “Virgin America Day” in the City. In turn, today Virgin America will be honoring its loyal flyers with a “We’re Turning Eight. Let the Party Fly” network-wide fare sale with fares from $38*. Tickets will be available atwww.virginamerica.com and 1.877.FLY.VIRGIN (1.877.359.8474)** and must be purchased by 11:59 PM Central Time today. Virgin America’s birthday week festivities will continue at AT&T Park on Saturday, August 15, when the Official Airline of the San Francisco Giants celebrates “Virgin America Night” as the team hosts the Washington Nationals. As part of this special night at the ballpark, Special Olympics athlete (and Northern California native), Jose Ayala, who just took home a silver medal in the Javelin at the Special Olympics World Games, will throw out the ceremonial first pitch to commemorate the airline’s partnership with the organization this summer. Virgin America donated $50,000 in flights to support travel needs of the 2015 Special Olympics World Games, and hosted a “Fans in the Stands” day for Virgin America teammates to cheer on the Special Olympics athletes in a soccer match during the World Games. As a thank you to all of the loyal fans at AT&T Park on August 15, the first 40,000 attendees at the game will receive a two-for-one Virgin America flight voucher. *** Virgin America has served as the “Official Airline of the San Francisco Giants” since 2008, and earlier this year, the airline announced a multi-year partnership extension with the team to maintain the title through 2019. The partnership includes unique stadium branding, such as the “Virgin America Loft” at McCovey Cove, in-stadium signage and LEDs and the mood-lit “Virgin America Club Level” that was launched last year as a nod to the airline’s signature cabin lighting – game fans will notice new mood-lit sectional signage this season. In March 2012, the airline named one of its aircraft “Fly Bye Baby” – in honor of the SF Giants. In October 2014, Virgin America launched its service at Dallas Love Field (DAL) with Sir Richard Branson to much fanfare, including the airport’s only First Class VIP check-in lounge. At the end of that same month, Virgin America launched its service at New York’s LaGuardia Airport (LGA), giving the airline the opportunity to service all three major airports in New York. In November, 2014 Virgin America has one of the most successful IPOs of the year, and partners with Loyal3 to give back to its most loyal guests by providing an opportunity for Elevate® Gold and Silver members to purchase shares of the airline. In December 2014, the airline announced the fleetwide rollout of Gogo’s faster ATG-4 WiFi service, offering its guests a faster average experience with peak speeds of 9.8 Mbps to each aircraft – more than triple the peak speed of the 3.1 Mbps available with the first generation of inflight WiFi. In February 2015, the airline announced it would be the first U.S. Airline to power online payments with Visa Checkout, making online shopping and other web experiences even easier for its flyers. In April 2015, Virgin America announced it would start flying from SFO to Honolulu, Oahu and Kahului, Maui later this year, giving Bay Area travelers a fresh and upscale new travel option to the Aloha state. Also in April, the airline was recognized as the leading carrier in the Airline Quality Rating (AQR) report for the third consecutive year. June 2015 saw significant upgrades to Virgin America’s food offerings as the airline announced new partnerships with Dean & DeLuca to bring the airline’s First Class flyers a curated selection of snacks and ONEHOPE Wine for an exclusive offering of the label’s 2013 Chardonnay and Cabernet Sauvignon. 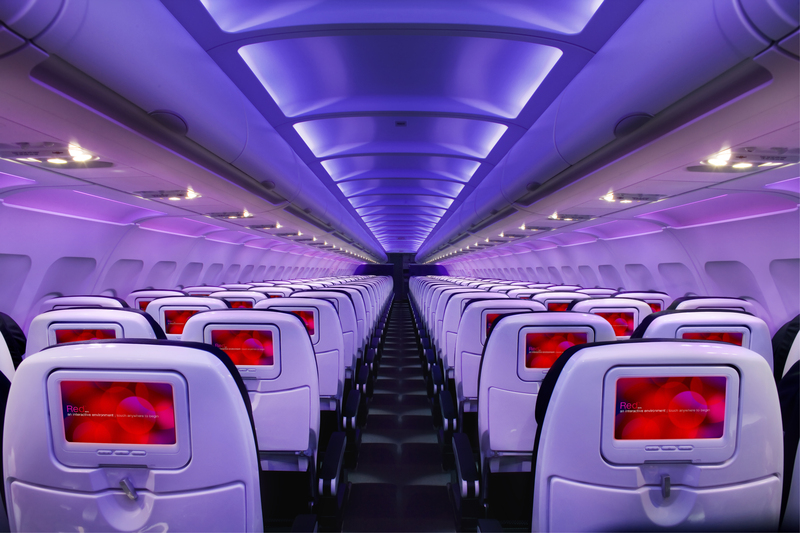 In June, Virgin America began rolling out a new beta version of its Red® in-flight entertainment system that creates an even more immersive in-flight entertainment experience with higher resolution capacitive touch screens, Android-based software that will allow for faster, real-time updates, three times more content – including full seasons of favorite television shows, more interactive maps, videogames including classics like Pac Man and Asteroids – along with the first surround-sound listening experience to be offered by an airline. 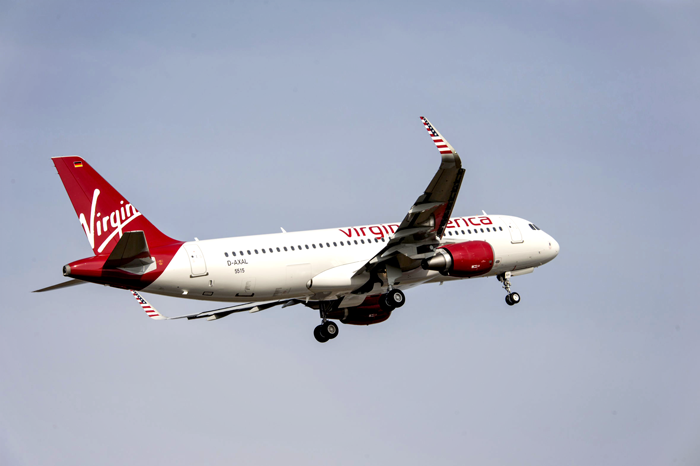 In July 2015, Virgin America announced a new technology partnership with ViaSat Inc., that will bring significantly faster WiFi connectivity to the airline’s 10 new A320 aircraft deliveries, beginning in September of this year. On the same day in July, the airline was named the “Top Domestic Airline” in the prestigious annual Travel + Leisure’s World’s Best Awards readers’ survey for the eighth consecutive year.